Another great quiz night last night with £749 being raised to help our retired hounds find their forever families. Thank you so much to all who were able to come along and support us. 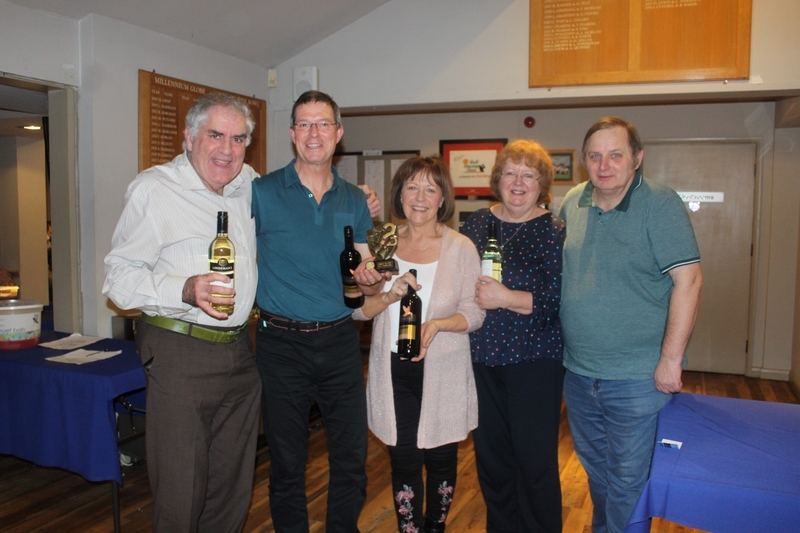 Special thanks to Leigh and Veronica for organising this event for us again, to Simon the Quiz Master and the team at Seckford Golf Club for hosting the event. 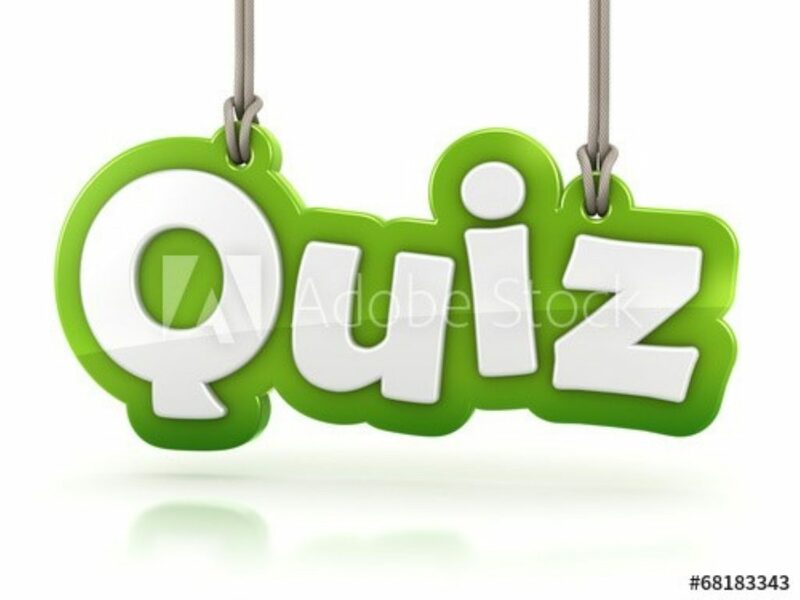 Quiz Results – Well done everybody! 3rd All the drinks are on Andrew Mann 79. Our annual quiz is fast approaching. It takes place on 9th March at Seckford Golf Club IP13 6NT. This is one of our biggest fundraisers of the year. It would be lovely if you could come along. Tickets are £15 and include a hot meal. £5 from the sale of every ticket goes to our branch. There will also be a raffle with numerous prizes. To reserve your table for teams of 2 to 4 please contact Leigh. Phone: 01473 636441 Thank you. WOW! What a fantastic night. 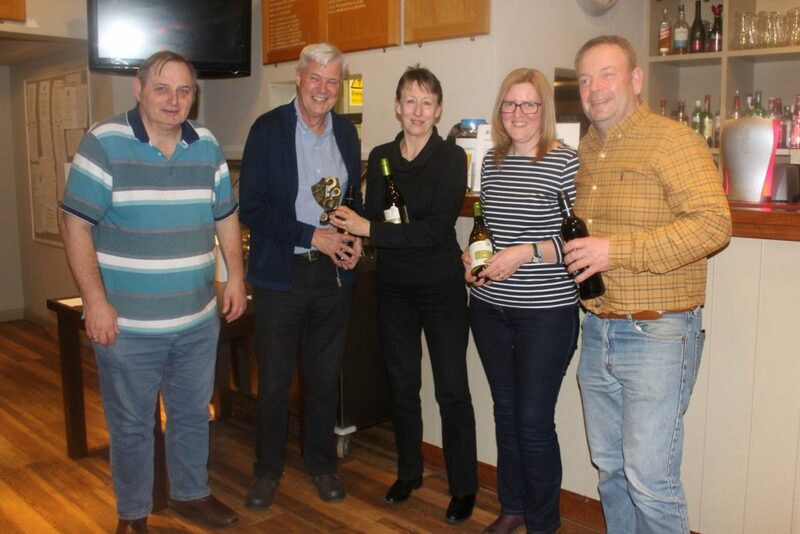 24 teams took part in our quiz night at Seckford Golf Club on Saturday evening. Our congratulations to the winners ‘Busy Bee’s’. Ticket sales, the raffle, find the greyhound and a game of heads and tails raised an amazing £1025.00! Thanks to Simon our Quiz Master and MC and his team for an enjoyable evening and to all who came along and supported us. Special thanks must go to Leigh and Veronica who worked so hard to put this event on for us. We are truly grateful to you all. Our annual Boxing Day stroll along the sea front with sausage rolls and mince pies at the end. Can we beat last years fantastic total of 198 dogs? All Breeds of dog are welcome on this walk. 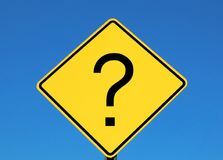 Also available on our walk will be tickets for our quiz night at Seckford Golf Club on Saturday 10th March. 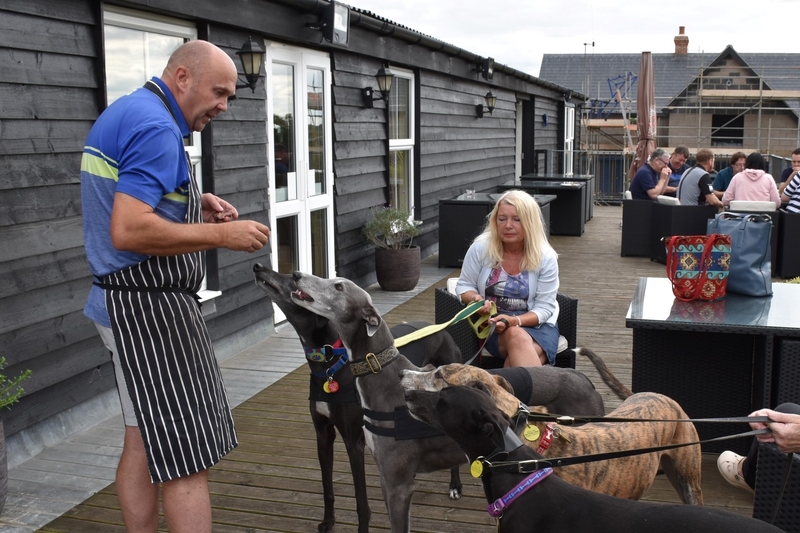 The ticket price of £15 per person includes a hot meal and £5 from the sale of every ticket will be donated to Greyhound Trust Suffolk. Please come along and support this event if you can, it will be our biggest fundraiser of the year. Well, what a day we’ve had at the Suffolk Dog Day! 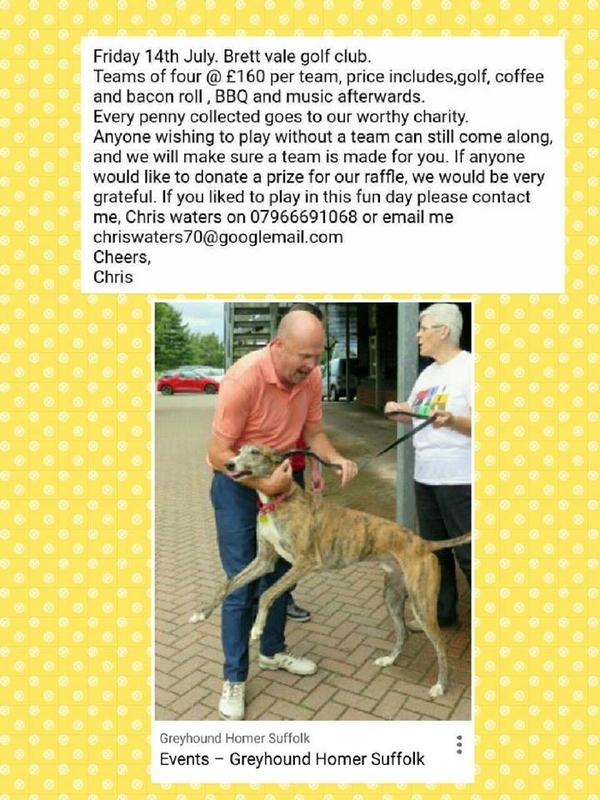 Oliver was reserved, Force, Nick and Pearl had a great day out, we were inundated with visits from old and new friends, and there was a huge turnout for a parade of greyhounds to end the day. Thank you to all who visited – we hope you had as good a day as we did! Check our facebook page for plenty more photos. On Sunday, 30th July we will have a stall at the Suffolk Dog Day at Helmingham Hall. 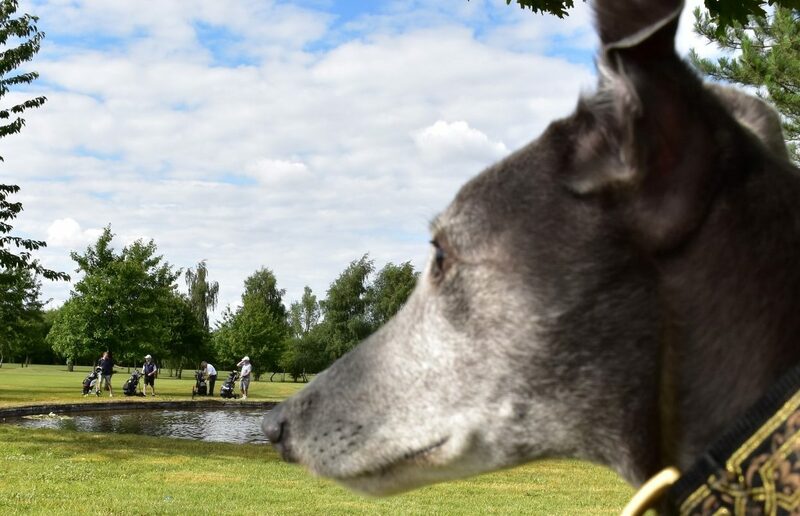 We are especially excited about the show this year, as greyhounds won a poll of the county’s favourite breed of dog, and there will be a parade of greyhounds in the main ring at 3:55. Please do come along and show off your gorgeous greyhounds, we’re sure it will be quite a sight! Golf day – thanks Chris!! Huge thanks to Chris Waters (seen here in his BBQ chef apron) for organising another golf day at Brett Vale Golf Club. Teams of four played golf during the day, followed by a BBQ and music back at the club in the evening. 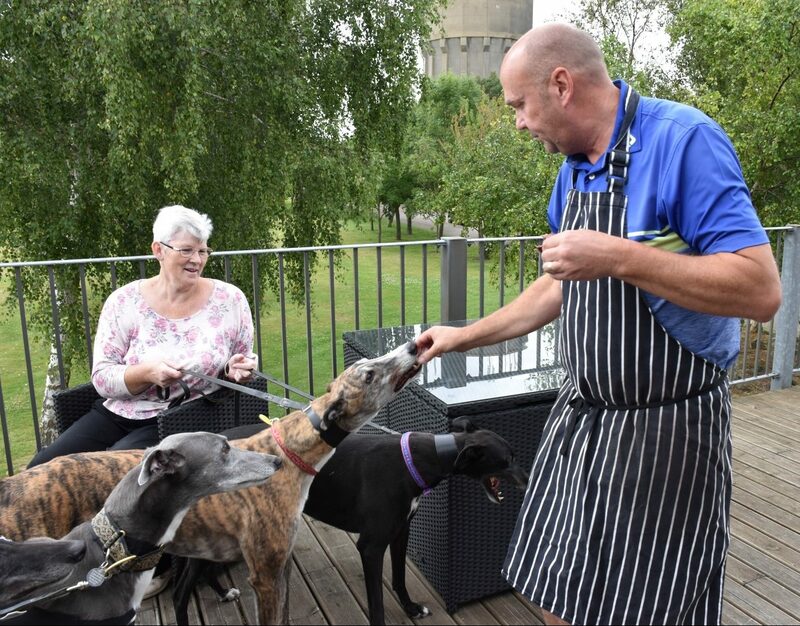 Swift Keith and Jenny, along with homed greyhounds Fox and Wolfie also went along to show how fabulous greyhounds are and enjoyed the sausages too. A fantastic £3,600 was raised. Calling golfers – there will be another golf day at Brett Vale Golf Club. 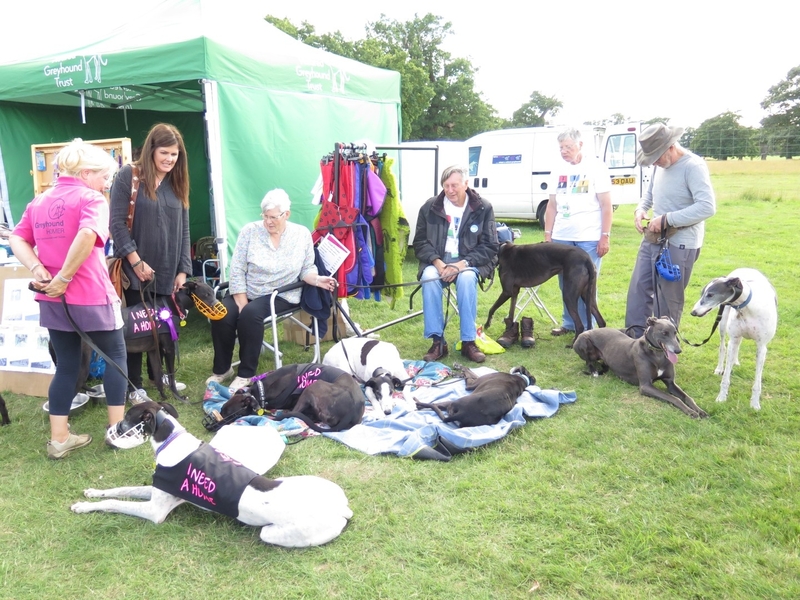 Last year’s event raised well over £3,300 for Greyhound Homer Suffolk. For the non-golfers you can come along and support the entertainment – BBQ and disco – in the evening.